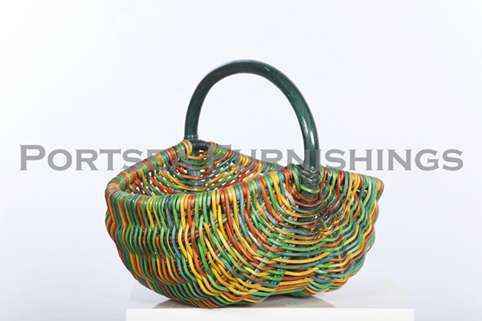 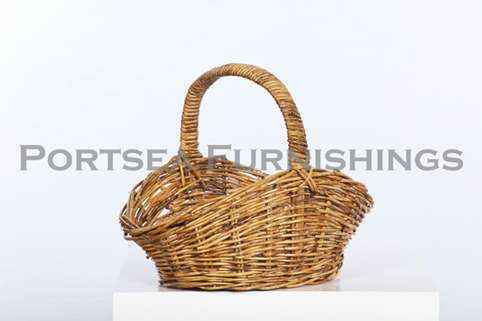 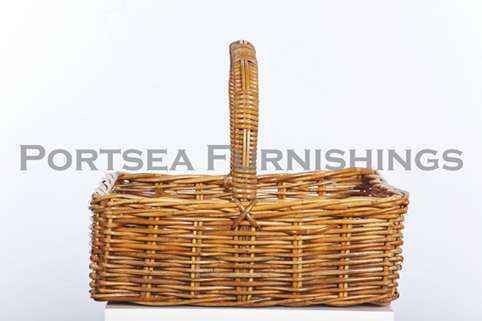 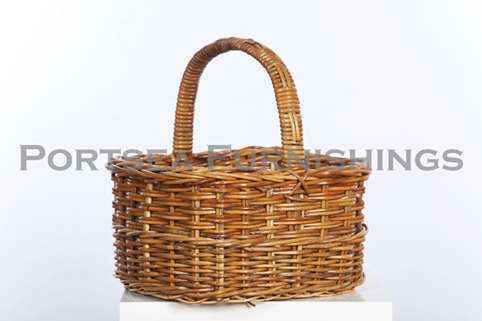 This rectangle shopping basket is made from rattan, strong and hardy. 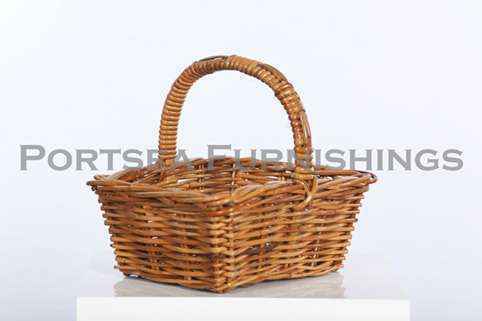 Use for shopping, a picnic or a gift hamper. 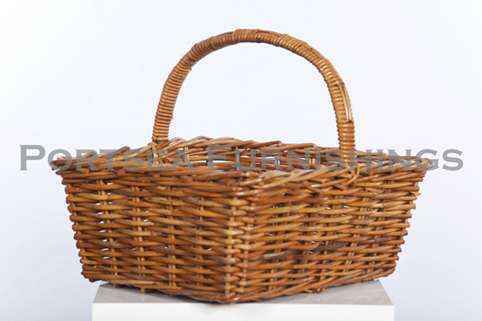 Available in two sizes and 2 colours, antique grey and natural. 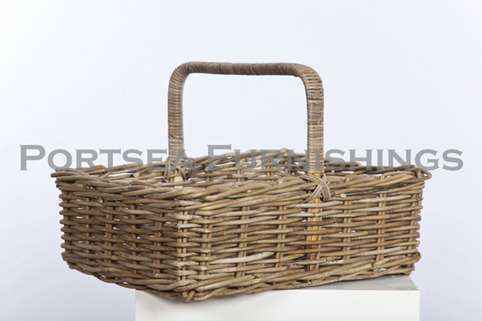 Our rectangle shopping baskets are made from natural rattan, making them 100% biodegradable and environmentally friendly. 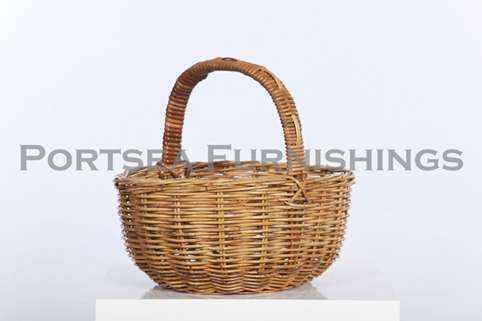 LARGE DIMENSIONS: 52 x 40 x 18(40) cm H PRICE $ 60.00 SMALL DIMENSIONS: 41 x 33 x 15(36) cm H PRICE $ 30.00 * measurements in brackets refer to the height of the handle.